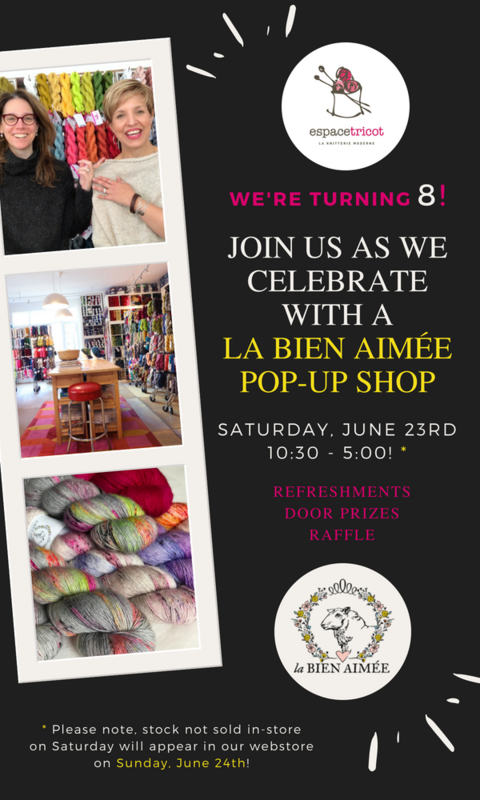 A huge shipment of La Bien Aimée Merino Singles have landed and we are kicking off our 8th year in business with a pop-up shop in-store this Saturday. Remaining yarn will go online on Sunday! Huge thanks to Aimee and her team for making this possible 😁❤✨.